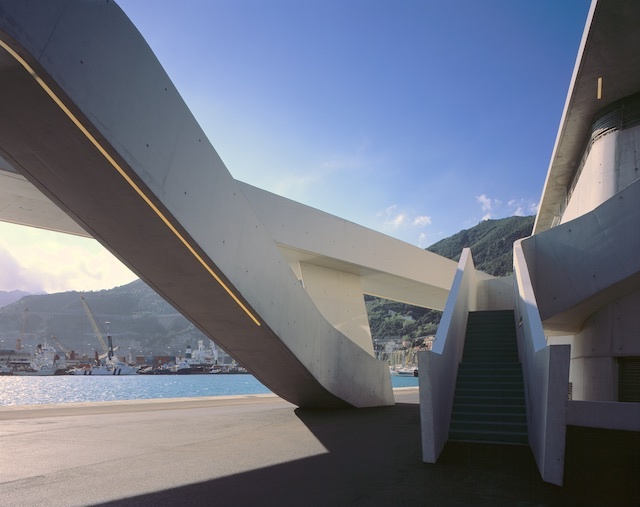 Shortly after winning a competition to design the Maxxi Museum in 2000 for Rome, Zaha Hadid also won a commission to build a ferry terminal for Salerno. 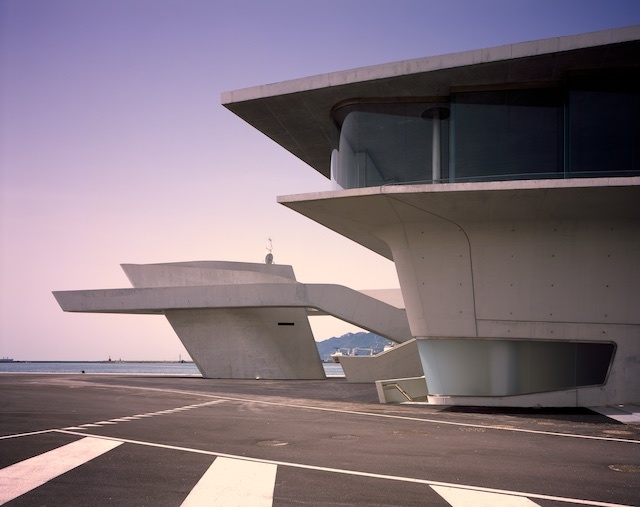 The terminal has now been completed and shows how perfectly Hadid’s bold building types sit on waterfront locations. 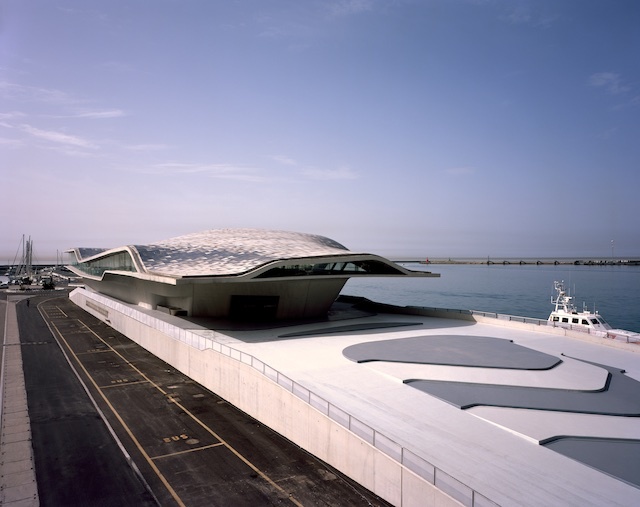 In fluid forms sculpted out of concrete, the terminal building exemplifies Hadid’s architectural vision: rejecting straight lines, it conjures an idea of easy transition and flow for passengers between land and sea. 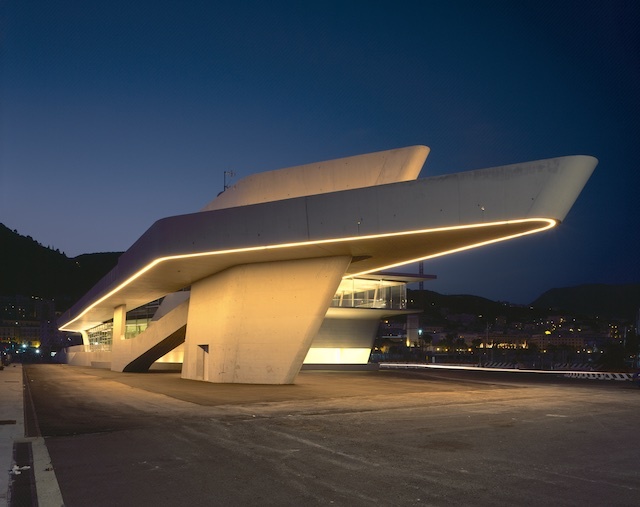 The abstract preliminary sketch resembles a seabird and the final form provides shelter from the strong Mediterranean sun under its cantilevered concrete wings. From this harbour ferries carry passengers to the famous Bay of Naples islands of Capri and Ischia, as well as further international connections for large ships. On three levels the terminal provides separate services for local and international travellers, custom controls and a luggage area, like an airport. 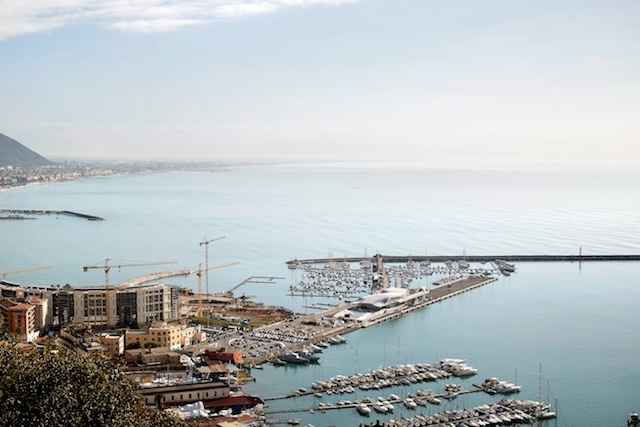 Hadid’s design will encourage transport over the sea from the Salerno harbour, regenerate the city and serve as a symbol for the region’s cultural attractions. 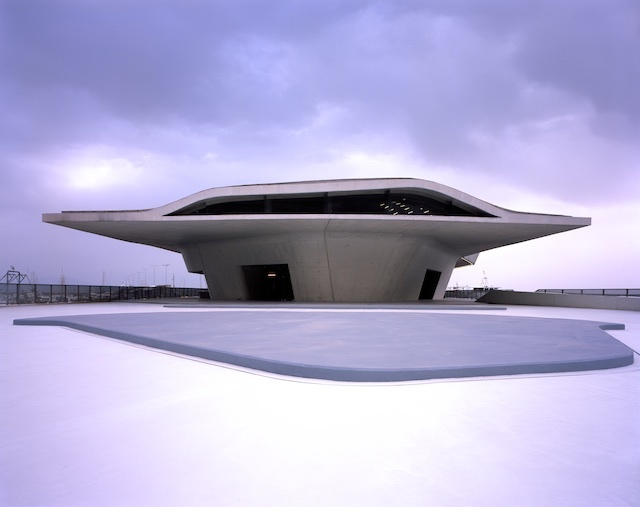 It is the first building inaugurated after Hadid’s untimely death and will be a reminder of her audacious vision, as Italian Prime Minister Matteo Renzi said in homage at the opening. Long windows and terraces offer expanded views over the coastline. From the sea and the hills that rise behind the city the terminal will act as a beacon lit up at night, and a monument for maritime traditions, leisure and environmental tourism. From now on visits to the Amalfi Coast via Salerno and crossing to Capri will have an added element of beauty.